Welcome to my blog, everyone! Digital Natives vs. Digital Immigrants…Is this a real thing?? For this week’s post, we were asked to select one or more of the weekly readings and reflect on its content as well as share our thoughts. Although each of the weekly readings demonstrated very interesting ideas, there was one in particular that caught my attention. In the video “Digital Natives vs. Digital Immigrants”, we learn about technology and the influence it has on society. Moreover, we learn what it means to be classified as a digital native or a digital immigrant. These terms were invented by Mark Prensky, an American writer and speaker on education. Prensky defines digital natives as “native speakers of the digital language”. Specifically, “digital natives are defined by the technology they’re familiar with”. Digital immigrants are those who are “not born into the digital world, but later in their lives become fascinated by and adopted many or most aspects of the new technology”. Like Danielle, I found myself constantly stopping the video and replaying sections of it over and over, as there were many key details. After I finished watching the video, I took a moment to reflect on my exposure to technology and my experiences using it, both past and present. When I was a child, technology was definitely limited. Laptop computers, tablets and smart phones were non-existent. 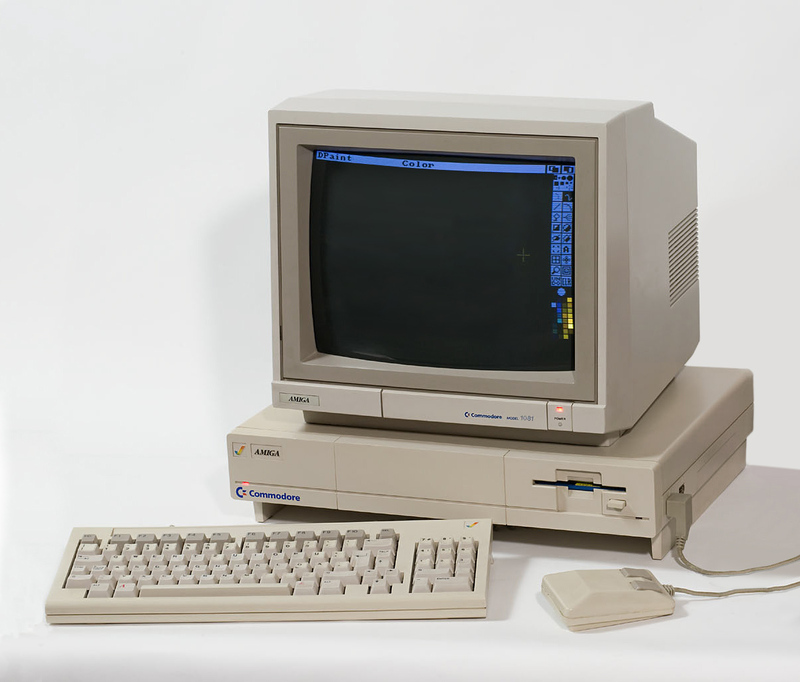 I grew up using dial-up internet, floppy discs and computers assembled with several different parts. But as I grew older, technology evolved exponentially. I suppose you could say that as technology progressed, as did I with its advancements. Therefore, based on my experiences using technology, I would identify myself as a digital immigrant. As a parent and teacher, I often wonder if technology today does have the ability influence our children/students’ long-term behaviour? If so, is this based upon a dependency of technology or the way in which it is used? In today’s digital world, technology is embedded in almost everything we do. As adults, we rely on technology for many different reasons: Business, education, communication, and for entertainment. Therefore, it is no surprise that technology is embedded in our children/students’ lives too. Although I value technology greatly, I have always made a strong effort to promote technology in moderation for my students. By doing this, my hopes are to create a more balanced approach to technology, demonstrating that technology should be an “add-on or an enhancement”, not a replacement. But with modern technology being so accessible, can we simply assume that our students will be successful problem solvers both online and offline if categorized as a Digital native, because they grew up using technology and therefore have a natural fluency with the web? David White’s idea of digital residents presents that being immersed in technology from a young age develops a naturally fluency towards it. Moreover, it encourages that modern students may not need to be taught how to navigate through the online world, as they have already experienced it. Digital residents consider the web a series of spaces or places and live a portion of their lives online, therefore leaving a social trace of themselves. A digital resident is familiar with using current social media apps (Facebook, Instagram and Snapchat) whereas a digital visitor would not. Digital visitors leave behind no social trace of themselves because they do not live a portion of their lives online. Usually, digital visitors visit the web with the intent to research information and then apply what they have learned offline. Specifically, their mission is to investigate and apply. Ultimately, the way we choose to engage with the web will define whether we are to be considered as a digital resident or digital visitor. Therefore, do digital natives and digital immigrants exist? Although the ideas that Mark Prensky puts forward are convincing and relatable, are they true to life? Do we naturally grow to develop a comfortability and natural fluency with technology? As a teacher, I believe in the importance of teaching my students about digital citizenship. Personally, I find it very worrisome to assume that my students do not require guidance and education about media literacy. I feel it is important to remind our students that technology is a privilege which not everyone has access to. Furthermore, technology doesn’t come pre-packaged with the understanding of exploring the online world appropriately. Digital citizenship skills need to be taught, they are not naturally embedded into our brains. Although learning to use a piece of technology may occur naturally for some, digital wisdom is learned. If we want our students and children to be successful digital citizens and digitally literate, then our focus as teachers and parents should be to build a foundation for using the web safely and effectively. ← Major Project: Developing a curriculum-based resource for digital citizenship. Great response Roxanne! 🙂 You know what they say when you assume… I think we can never, ever just assume that anyone in our lives, regardless of age has had the same experiences with technology and therefore is naturally fluent. I think we will see the negative side of technology if we start to assume these things because the concept of being a good, responsible and respectful digital citizen needs to be modeled and taught. Thanks, Dani! You’re absolutely right! I couldn’t agree with you more! Great post! I also agree that we cannot assume that students know how to use it properly. Raised with it or not, there is always room for education no matter what the tool is. I think it is going to be interesting to sit back and watch the advancements continue and how our children change with it as well as how we navigate it as we move into the next season of life! I love the term you just invented “digital wisdom.” I completely agree that it is crucial to model for students the tenets of digital citizenship. I hope my kids grow up displaying digital wisdom. Thanks, Luke! I hope to model digital wisdom for both my students and my son as well! Great post Roxanne ! I couldn’t agree more with your views. Just because a person is born in a particular time frame doesn’t necessarily mean that they “know it all” and develop comfortability and natural fluency with technology. As a teacher I see a strong need to educate our students the importance of digital identity, they are sometimes so naive that they do not understand consequences of having a negative digital reputation and we have the responsibility in tailoring them to perfection. Excellent post and I look forward for your next one. Can technology assist in language learning? Yes it can! !